Leather strap. 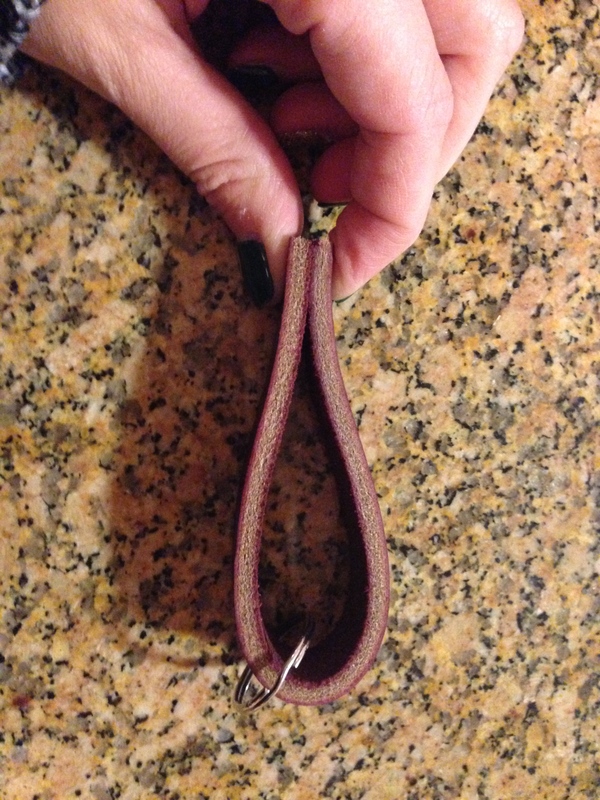 I used this strap that was ¾” x 84”. It’s currently unavailable but it was $17 on Amazon. 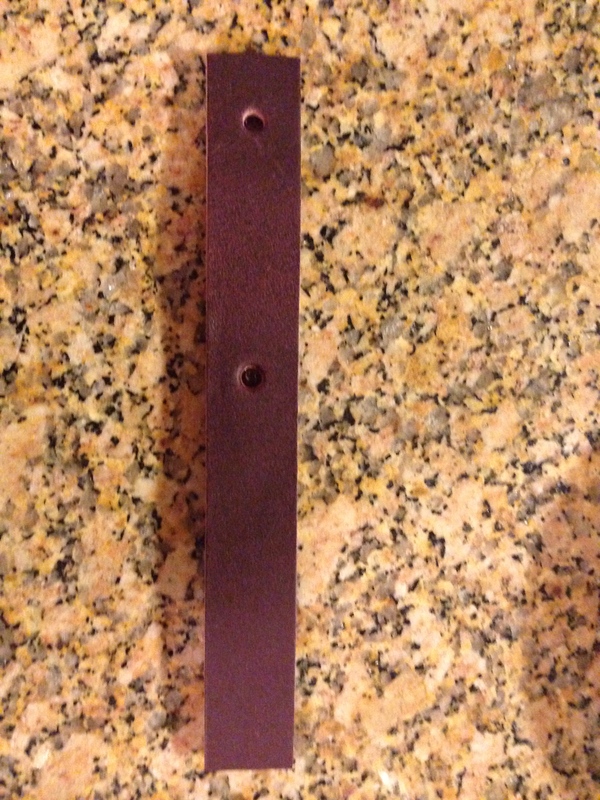 Leather hole punch. This was $7.40 on Amazon. Solid Brass 1/4″ Screws. I bought these on Amazon. Two packs of 10 (20 total) were $14. Key rings. I found gold ones on Amazon here. A 20-pack was $7.78. Leather letter and number stamp set. I bought this on Amazon for $14.99. Cutting mat and rotary cutter. I already had this set and think it was cheaper when I bought it. Acrylic craft paint. I had a various colors left over from pervious products. The paint I like best is Martha Stewart’s Metallic Acrylic gold paint. Amazon sells 2 oz. bottles for $2.49. I also bought it in bronze. Foam paintbrush. The Dollar Tree sells pack of 10 for $1. Because I had some of the above materials, I was able to make 14 of these for $4.36/piece. 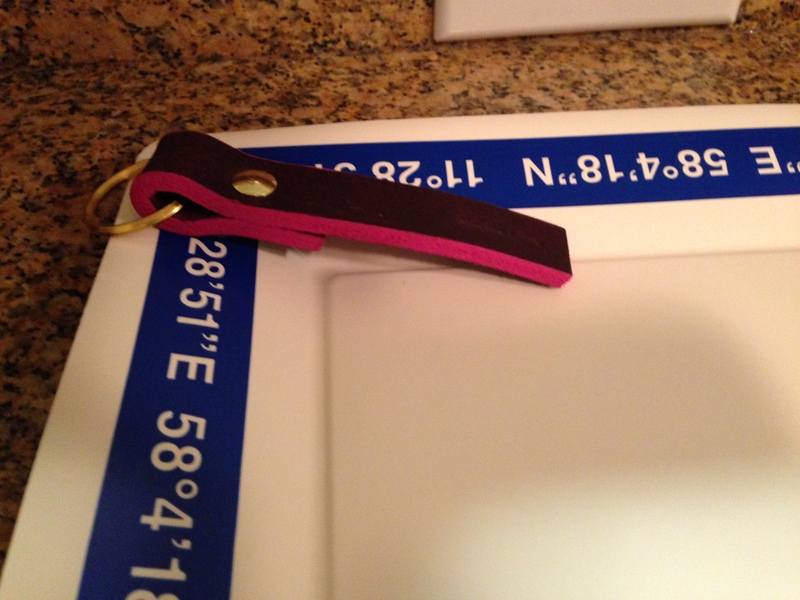 Lay the leather strap flat on the cutting mat. 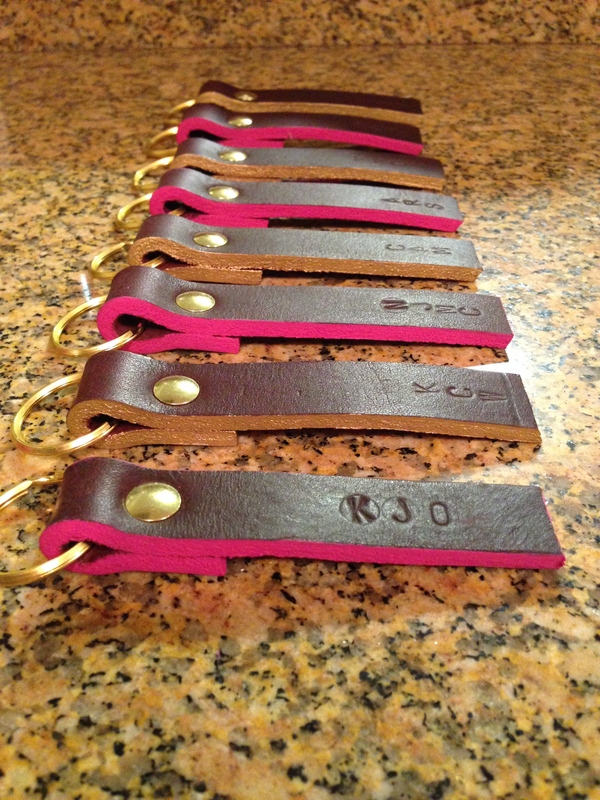 Using the rotary scissor, cut the leather strap into 6” pieces. 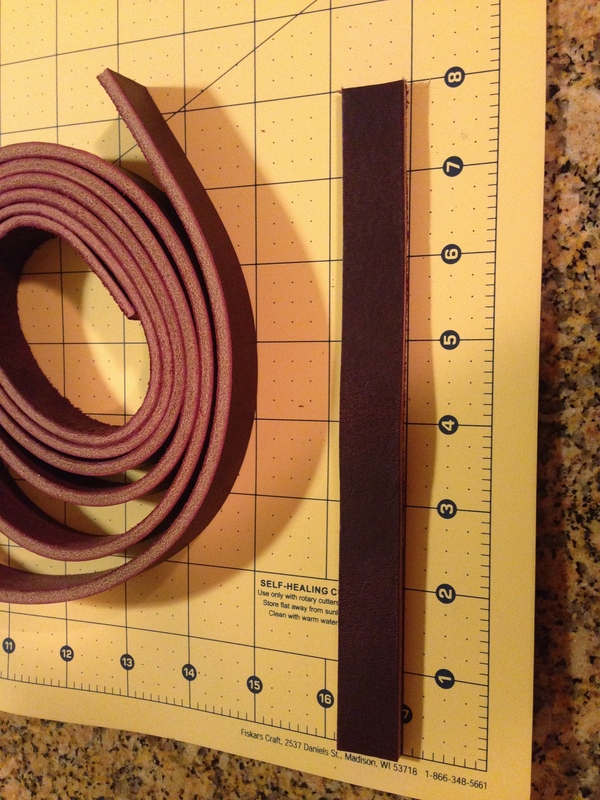 I was able to cut 14 pieces from my 84” strap. 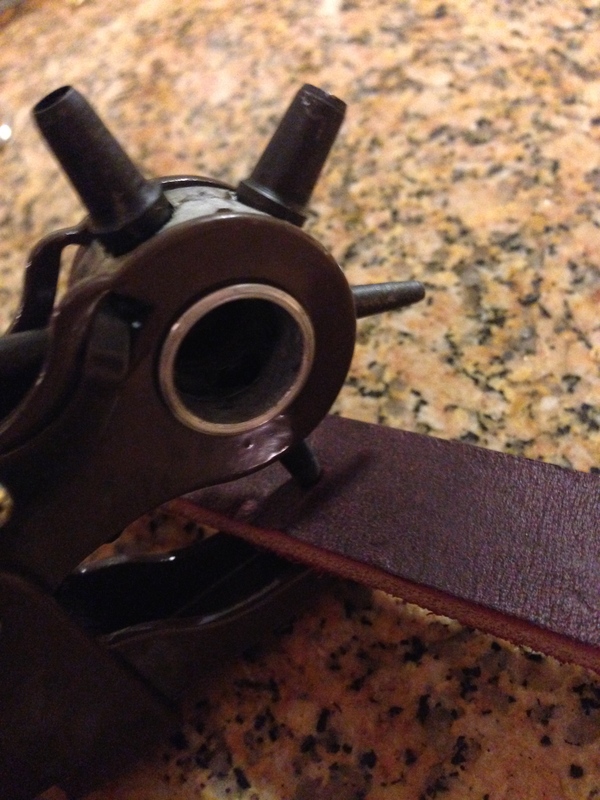 Punch the first hole about ¼” from the end of the strap, making sure to center the hole. Punch the second hole about 3″ from the first hole. Pour a nickel-sized glob of paint onto the paper plate then using the foam brush, paint all four of the narrow edges of the leather strap. 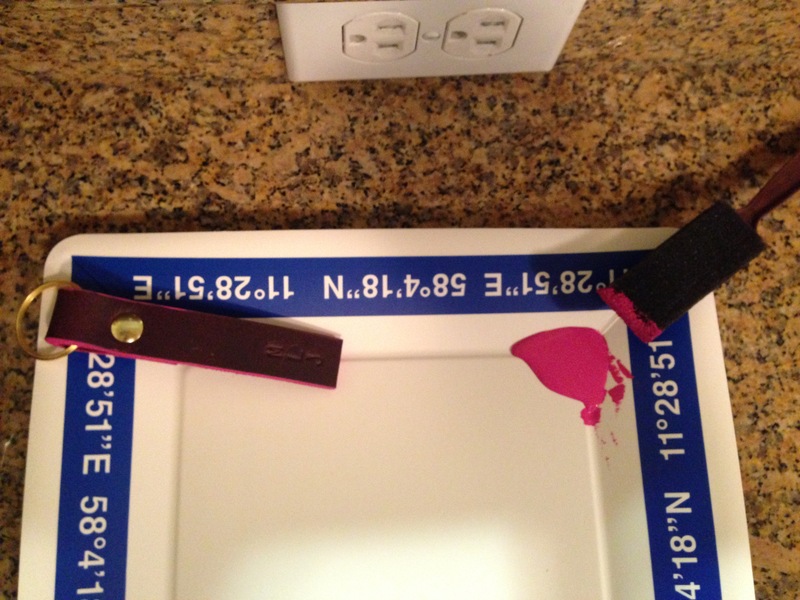 If you get paint on the piece of leather, wet the cotton swap with water and use it to wipe off the paint. Let the paint dry a few minutes. It will dry quickly as the leather absorbs the paint. 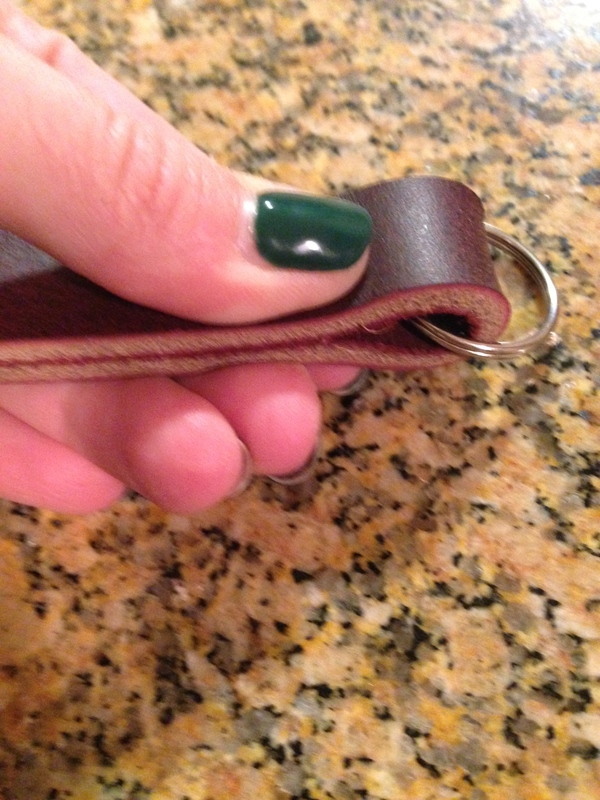 Slide the key ring around the strap of leather. 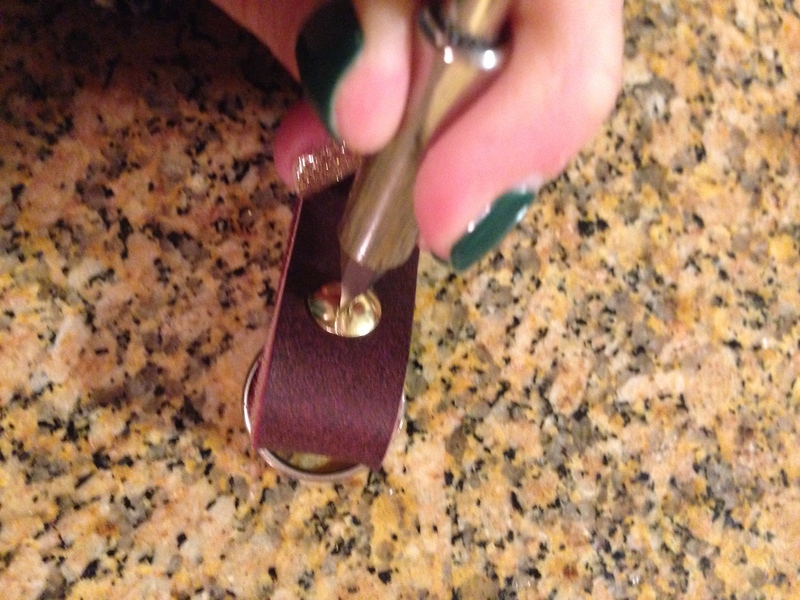 With the key ring secured between punched holes, place the male piece of the screw in one of the punched holes. Then, place the female piece of the screw through the other hole, line the screws up, and screw them together. Use a screw driver to tighten the screw. 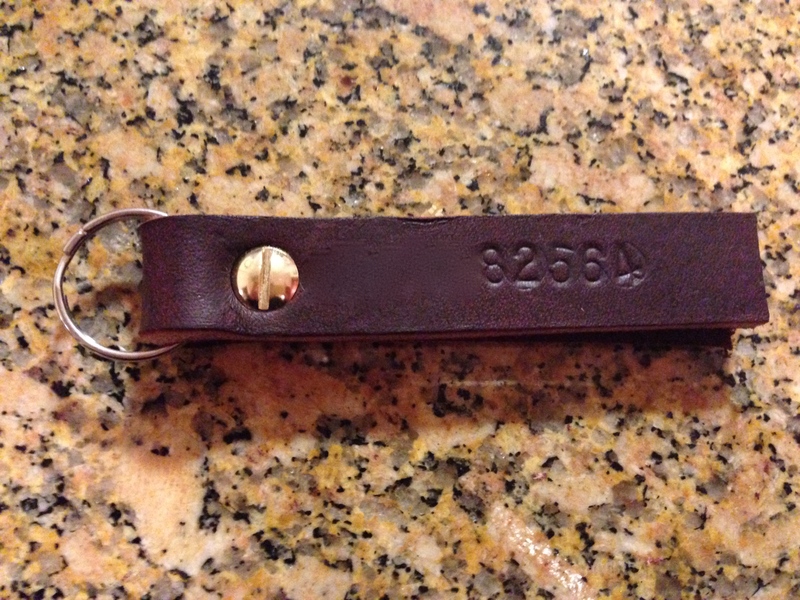 Lay the key chain flat and select the letters or numbers you want to use. Impressing the leather is easy but getting sequential letters straight is tricky. On the keychain I made myself, I wrote my first name (7 letters!) and phone number. Bad idea. On other key chains, I stamped 3-4 letters and on some just one letter. It was hard to line up numbers in a straight line! Hold the letter stamp flat and straight. Once you have it in place, hit the top of it with one hard whack from the hammer. On my first try, I hit the stamp several times but it left a round circle around the letter and looked bad. 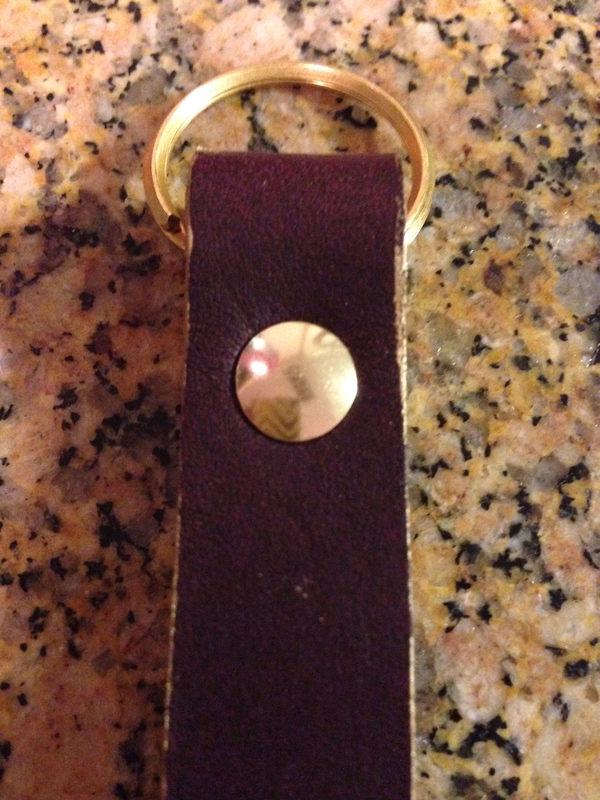 On the other key chains, I hit the stamp once and it looked much better. 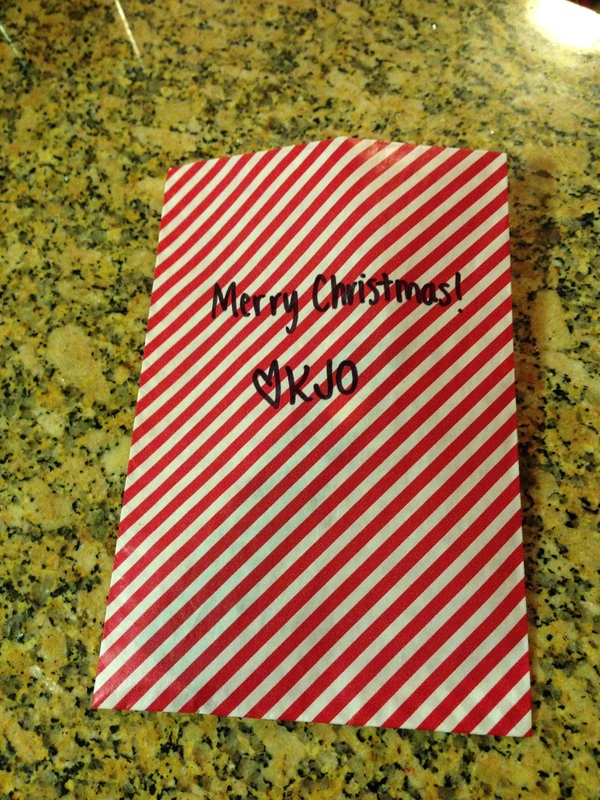 Here you can see the “K” in “KJO” has a circle around it. 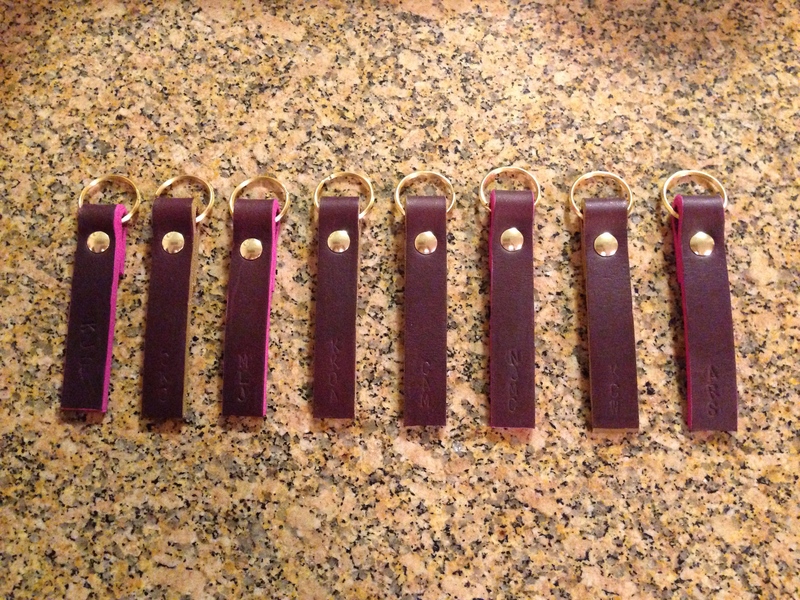 When I was done, I put the key chains in small gift bags and gave them as gifts.